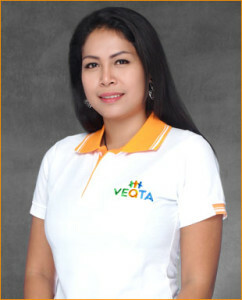 The name VEQTA comes from the word ‘VECTOR’ which is a term used for categorizing images in Desktop Publishing; for example, Adobe Illustrator and InDesign files. Some of our very first assignments involved Desktop Publishing in Malay and other Asian translation for billboards in the Asia-Pacific Region which required this scalable format. Today our translation firm has grown to include a strong team with thousands of qualified translators and reviewers working under our umbrella. Today our core focus is providing translation services both in Asia and overseas as well as providing localization in over 50 different languages. We specialize in providing translation and localization language solutions for corporations and organizations worldwide. In addition, we have developed strong and extensive connections in the audio and subtitling industry, and we collaborate with partner studios on nearly every continent and as well as providing voice-over recording in Malaysia and Singapore. We have recorded and directed dubbing and voice-over recording productions for audiobooks, corporate presentations, commercials and radio shows. For more information on how we can help you with your translation and localization needs, contact us today! We pride ourselves on having an experienced staff with a strong collective multicultural working background. We know how to work in harmony with each other with a great commitment on your behalf. Our team of localization experts consists of professionals with years of hands-on experience in the language translation and software localization industries. We’re a tight-knit team who knows the value of working together to accomplish a shared goal by putting our clients first – an advantage that comes in handy when many team members are called upon to collaborate on a project. Asia-Pacific is the hottest market in the world currently. The Asian population accounts for 50 per cent of the total world population. Being based in Kula Lumpur and by having representatives in Bangkok, we are in a perfect place to serve Asia as well as the world with its translation needs. Based on our experience and core company assets, we can be your trusted advisor in Asia as well as across the globe. A customized approach, the latest technology, and a highly skilled team eager to create a custom solution for your project – that’s the advantage of choosing VEQTA Translations for all your translation and localization needs! Read more about our localization services. Originating from Osaka Japan, Hideki Tanaka has held a number of corporate, commercial and operational roles at senior executive levels for a number of independent PR and marketing agencies. 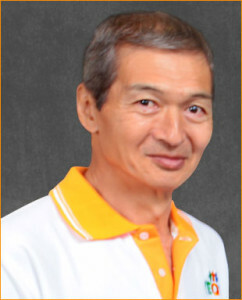 Hideki holds a Master’s Degree in Business from Nagoya University of Commerce & Business (NUCB). In 2001 Hideki joined the Hoffman Agency where he spearheaded the Hoffman Agency’s senior management team in Tokyo and developed and implemented a new strategy to support more than 100 tech companies to do business in Japan. Just like the meaning of Hideki’s name; ‘spending opportunity’, Hideki’s business acumen has enabled him to capitalize on trends and opportunities he recognized in the translation industry that resulted in the formation of VEQTA Translations. Charles has years of experience in the localization industry working for Transperfect which one of the world’s leading providers of language services. 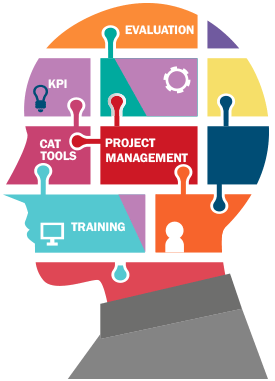 Charles has held a diverse range of technical and management positions worldwide in the field of Translation and Language Services with a focus on product Software Localization working directly with content developers for tailored eLearning courses and mature ERP systems. 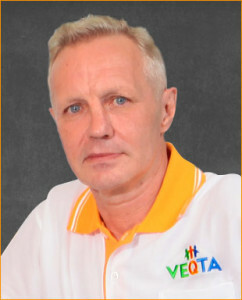 Charles oversees ongoing business operations within the company and also routinely works with both local clients in Bangkok and clients in other geographies. Charles has resided in South East Asia for over a decade and often travels to Kula Lumpur and Singapore and has a passionate interest in languages and cultures. Originating from the Philippines Joseph grew up in Melbourne. Joseph has formally studied Translation at a tertiary level which resulted in the completion of a Master’s Degree in Translating and Interpreting (Spanish) at RMIT University in Melbourne. Joseph is responsible for ensuring the company meets its operational objectives by contributing information and recommendations to turn strategic plans into action. 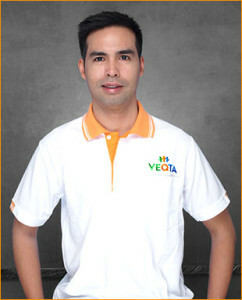 Prior to joining VEQTA, Joseph was the Director of Translations and Interpretations at the Office of English Language Learners in Manila, where he directed and coordinated the operation and activities of the Council’s Public Schools Units. Joseph leads the VEQTA Translations development teams and uses his unique set of experiences to drive the processes and help clients optimize their approach to translation and localization. Jean is a native French speaker and was born and raised in Quebec. Jean holds a Baccalaureate in Software engineering from the University of Toronto and has an extensive background in software engineering. Jean is a technical expert in the Internationalization field and has worked with Amazon’s Digital Services division in Seattle where he worked with multiple software development teams on localizing software projects for products such as Kindle and Fire Tablets. Jean is responsible for project software localization requirements, engineering core fixes, and integration and updates. His hands-on coding skills, as well proven problem-solving and communication skills are second to none – at the core of Jean’s responsibility and strengths is delivery. After graduating from Thammasat University in Bangkok with a Baccalaureate Degree in International Business, Vii started her career as a Senior Procurement Specialist at AIS Thailand which is the leading mobile operator in Thailand. Vii shined in her role and her dedication soon saw her receive a promotion to Marketing Manager where she managed both large local and international corporate accounts. Vii has a passion for localization and is also liaising with clients that are requesting Thai linguistic language services via our Thai branch. Vii has close to 6 years of experience in client servicing and is a valuable member of our team. Vii has a keen interest in marketing and building client relationships, and speaks fluent English and Thai. 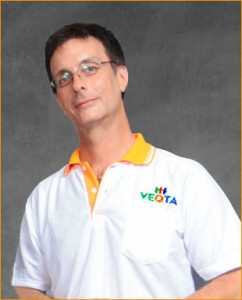 The team at VEQTA is always happy to assess your project -no project is too small or too big!